We have no reservations about professing our love for the Recaro seats in the Ford Mustang. We fell in love with them when we first sat in the cloth Recaros during our test drive of the 2012 Mustang Boss 302, and our affections were further bolstered (pun intended) when we had some time behind the wheel of a 2013 Mustang GT with the leather Recaros. The upgraded seats are somewhat of an expensive option on the Mustang at $1,595, but in our opinion it’s money very well spent. If you’re not quite convinced, then check out this video featuring Tanner Foust, who takes a tour of the Recaro factory then jumps behind the wheel of a 2013 Mustang GT and Boss 302 to put the seats to good use. 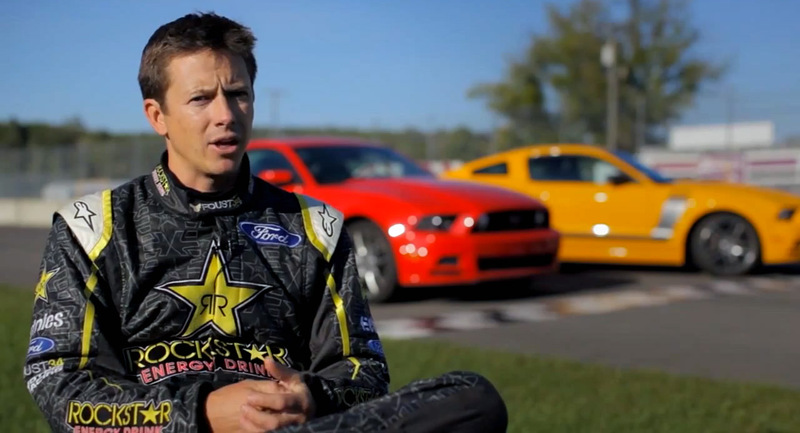 You’ll learn what exactly goes into the hand-assembled seats and why Tanner Foust thinks a good seat is so important. This entry was written by by Novocaine (Ford Mustang) and posted here on Friday, June 28th, 2013 at 7:01 am and is filed under Sport, Videos. This article was not written by us, rather gathered using RSS feeds listed here. We take no credit for this article. You can leave a response, or trackback from your own site.